The “Battle for Ohio” is on Saturday, as Adrien “The Problem” Broner will take on Shawn “Showtime” Porter in a catchweight bout at 144 pounds. The fight will be at the MGM Grand in Las Vegas. Watch the fight on NBC – it’s a fight both of these young guys needs to win. The odds seem to be all over the place in this fight, but you can get Porter -125 at Bovada and Broner +115 at BetOnline. 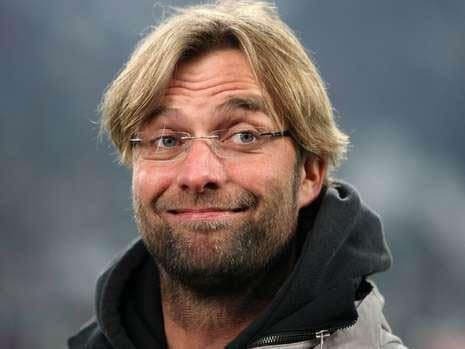 I have to admit – I’m a little surprised we’re getting plus money on Broner. Broner has finished more of his opponents with his power, but there really isn’t much separating these guys in this bout. Both fighters will need to bring their A game to win on Saturday. This is a huge fight for Broner. I’m a fan of his antics outside and inside of the ring, but he has to put up a good outing here. Back in December 2013 he was manhandled by Marcos Maidana at welterweight. He has bounced back with wins over Carlos Molina, Emmanuel Taylor and John Molina Jr.
Porter lost back in August 2014 against Kell Brook, but he has had one fight since and he knocked out Erick Bone in the 5h round. However, both guys will be stepping up in competition for this one. I’ve seen a lot of comparisons between Porter and Maidana. Both fighters have a grinding style and like to push forward constantly with punches. Porter will be served well if he can move forward in this bout. Porter needs to get inside on Broner and keep the action inside by bullying Broner with constant punches, but that’s easier said than done. Maidana had success, but he has more power than Porter. Broner seemed rocked a few times against Maidana and I’m not sure Porter will be able to do that. I believe Broner will win this fight as long as he can keep Porter on the outside. Broner has been utilizing his effective jab a lot more in recent fights and he has to do the same in this bout. Porter has had some issues where he has left himself open for punishment, as he’s more concerned about getting inside and scoring. Broner has to stop him in his tracks with a nice stiff jab every time. If the jab is working – everything else will fall into place. Broner will be able to mix up some combinations once he has Porter on his back foot. 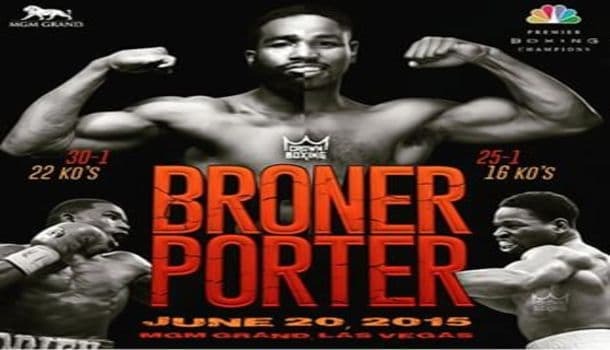 By keeping Porter uncomfortable and unset – Broner will be able to inflict more damage and win more rounds. I can’t pass up the value on Bonner in this bout on Saturday night. Broner has experience against grinders after losing to Maidana and he seems to have worked out the issues that were causing him problems. His jab is much better and that’ll play a huge role. Porter doesn’t have the power to frazzle Broner either when he gets inside. Broner should have little difficulty keeping his distance and ensuring that he does more damage with his combos. I expect this fight to go to a decision as well, but the over/under round odds aren’t out yet.